Carnegie Public Library recently honored Linda Brown with a retirement open house. Brown’s colleagues, friends and family gathered to celebrate her service to the community, spanning 30 years, through the library’s children’s, circulation and outreach departments. From left to right, Madison Brown, Eloise Brown, Jim Brown, Linda Brown, Jamie Brown, Chaney Brown, Tammy Brown, Marley Brown, Kayla and Jordan Brown. https://www.recordherald.com/wp-content/uploads/sites/27/2018/07/web1_lindab.jpgCarnegie Public Library recently honored Linda Brown with a retirement open house. 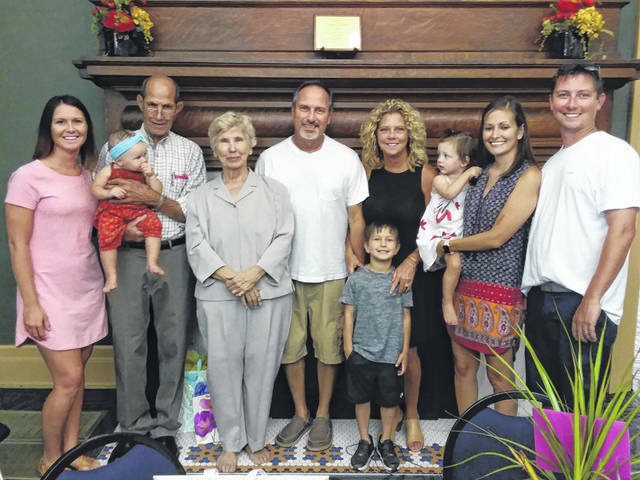 Brown’s colleagues, friends and family gathered to celebrate her service to the community, spanning 30 years, through the library’s children’s, circulation and outreach departments. From left to right, Madison Brown, Eloise Brown, Jim Brown, Linda Brown, Jamie Brown, Chaney Brown, Tammy Brown, Marley Brown, Kayla and Jordan Brown.